This week, the British Film Institute released statistics revealing that a mere 14 feature films were directed by women in the UK last year, compared to 164 by men. Meanwhile, of the 16 gala premieres just announced by this year’s Toronto film festival, none have female directors. The prejudices faced by women filmmakers – half of all film school graduates but only 5% of working Hollywood directors – have been well-documented. Those who do make it talk often of the depressing struggle they faced to get there, far longer on average than their male counterparts. It is equally common to hear of a female director whose difficulties in getting financed or produced stemmed from the personal subject matter of their work. It would seem that both of these realities are informed by the depressing strain of misogyny which judges the perspective of a young woman to be somehow lesser. Greta Gerwig showed awareness of this when she said “| think that people get really angry when it’s women doing it, to be totally honest. There’s something that feels threatening about it and they have to be doing something other than being thoughtful. It has to be somehow an exercise in narcissism, because why else would you make anything about women?”. Yet plenty of young female voices have succeeded in breaking through these absurd walls of prejudice, and not with any hint of compromise. Here is a list of ten female directors aged 40 or younger, whose achievements make for refreshing reading, both for content of their work and the way they have established their careers. It is a subjective list, and no disservice to any of the women not included, especially those who simply happen to exceed my arbitrary age limit. My focus on youth need signify no more than an inspiring look to the future, and the many decades of filmmaking we can expect from each of the following. Her story: The British tradition of “gritty realism” may have hit highs through the work of fellow British women Lynn Ramsay, Clio Barnard and Andrea Arnold, but in lesser hands it has also been done to death. Last year, Welsh-Egyptian director El-Hosaini burst onto the scene with “My Brother the Devil”, a film that at first appears to be a fairly conventional, if well-constructed, urban drama about two brothers drawn towards a life of crime. But then the plot veers into totally unexpected territory, transforming the narrative into a bold and vital deconstruction of contemporary masculinity. This makes sense of – and more than justifies – the long struggle El-Hosaini faced to get the film made. Her story: The strand of independent cinema forever doomed to be described as “quirky” and “eccentric” has a chequered history, with directors such as Charlie Kaufman and Michel Gondry representing its zenith, but many below them giving it a bad name. Either way, it has tended to be men who are permitted to express their quirks on film – until the arrival of Miranda July with her 2004 film “Me and You and Everyone we Know”. July has had her fair share of critics – I myself came down hard on her 2011 release “The Future” – but her idiosyncratic filmmaking voice is uniquely hers, and against a landscape of male-constructed manic pixie dream girls, uniquely refreshing. Her story: The press treatment of Angelina Jolie’s daughter Shiloh makes clear that media coverage of childhood gender nonconformity is not exactly enlightened. And whilst we can only dream of Celine Sciamma’s “Tomboy” reaching the kind of audience exposed to that level of tabloid dross, it remains a startling film about a ten year old girl who moves to a new town and announces to her new friends that she is a boy. Before this, Sciamma’s debut “Water Lilies” screened at Cannes at the age of 25. With a striking minimalist style both indebted to French tradition and uniquely hers, Sciamma has won over the critical fraternity without compromising her focus on young female sexuality. Her story: Not dissimilarly to Sciamma, Lucia Puenzo announced her arrival with 2007’s XXY, a film about an intersex teen facing adolescent struggles both familiar and unique. The film scooped the Critics Week Grand Prix at Cannes, and Puenzo was back on the Croisette this year, with her third feature “Wakolda” screening as part of Un Certain Regard. A well-received drama about a Nazi physician who develops an unhealthy obsession with an aryan Argentinian family, it is evidence that Puenzo’s storytelling scope remains as wide as ever. Her story: When “Blue is the Warmest Colour” won the Palme d’or earlier this summer, there were voices that wondered whether Cannes would have been so quick to embrace a teenage lesbian drama had it not had a middle aged straight male director at its helm. 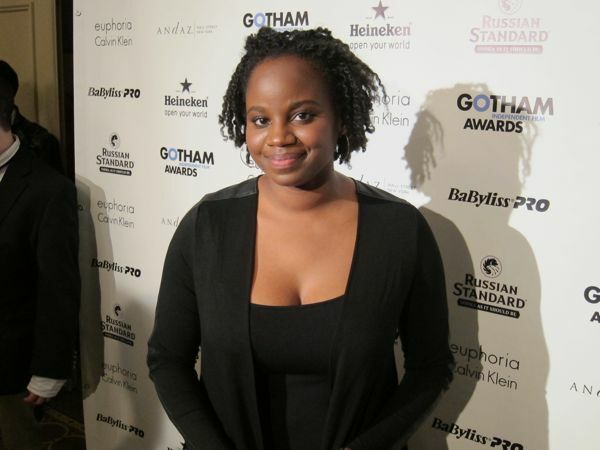 Yet two years earlier, Dee Rees proved that such narratives do not need the hand of patriarchal guidance in order to break through. Her semi-autobiographical film “Pariah” scored a 95% approval rating on Rotten Tomatoes and awards from all quarters including the Indie Spirits, the National Board of Review and Sundance. An unprecedented level of industry endorsement for a black lesbian narrative from a black lesbian director, Rees’ cinematic voice is compelling on its own terms and essential in the context of the heterocentric, white male-dominated landscape it inhabits. Her story: It is rare enough for female directors to win acclaim at notoriously male-dominated Cannes. It is even rarer to do it young. Mia Hansen-Love was 23 when she made her feature debut, and 28 when her third feature – 2009’s “The Father of my Children” – won the Special Jury Prize from Cannes’ Un Certain Regard line up. Recently listed among the Top 20 directors in the world today by The Guardian, it seems that her already prolific career is only on its opening chapter. Her story: Soderbergh won the Palme d’or at 26. Spielberg directed Jaws aged 27. For her part, Lena Dunham has written and directed a feature film and two television series, and won a DGA award for her direction of the latter. Dunham has refused to apologise for maintaining her dramatic focus on her own privileged young white female worldview. And though it has meant facing ten times the criticism of say, Wes Anderson or Noah Baumbach, she has succeeded in proving herself, creatively speaking, as their equal. Her story: Al-Mansour’s narrative is no less remarkable for having been oft-repeated. “Wadjda” is both the first ever feature film directed by a Saudi woman, and the first ever feature film shot entirely within Saudi Arabia. Al-Mansour had to direct some scenes hidden inside a van, so as not to be witnessed directing male crew members. It is a story so remarkable that it risks overshadowing the film itself, but the enthusiastic worldwide distribution the film has received – opening in the UK last week – is proof that its on-screen narrative is equally compelling. In a country where cinema has been effectively banned for decades, and where women’s rights are some of the most oppressive in the world, Al-Mansour’s is now a hugely vital voice, on screen and off. Her story: Polley is not the first director to straddle documentary and fiction genres, but the variety of her career output so far is pleasing evidence of a creative sensibility in full flight. Aged 27, her directorial debut “Away from Her” was a huge success, twice Oscar-nominated and widely embraced by her peers. Both of her films since then have been refreshingly idiosyncratic – 2012’s “Take this Waltz” polarised reviewers but drew raves from many for its dry emotional honesty. This year, it is hybrid documentary “Stories we Tell”, an unclassifiable exploration of Polley’s own family history, which has been garnering acclaim worldwide. Up next is an adaptation of Margaret Atwood’s “Alias Grace”. Her story: Ava DuVernay is a revitalising voice on the indie film circuit. After becoming the first black woman to win the Best Director award at Sundance for her second feature “Middle of Nowhere”, she has shown herself to be a passionate advocate for disrupting traditional forms of filmmaking and distribution. A constant champion of her fellow directors, she is always happy to acknowledge her status as a black female director, if only because she appears to see it as both a necessary conversation and a cause for celebration. Earlier this month, it was announced that she would direct the Martin Luther King biopic “Selma” following Lee Daniels’ departure from the project. An appointment like this is highly significant – as Women and Hollywood’s Melissa Silverstein pointed out, “movies about epic male historical figures are usually reserved for [male directors]”. But DuVernay has already proven herself as no prisoner to establishment convention.